The only word I can use to describe the whole task of becoming engaged is ‘surreal’ but it’s unlike any surreal I have previously experienced. Even now – just a week into being engaged – I think back to visiting the jeweller and wonder to myself, ‘how on earth did I even get there’? However, buying a ring was child’s play compared to the thought of actually asking another human being to marry me. In the weeks before proposing, Jane and I had talked about getting married and it all seemed like a fun idea providing plenty of smiles and giggles. To actually stand on the precipice though, between being a single man and being an engaged man, is something I can still barely comprehend. 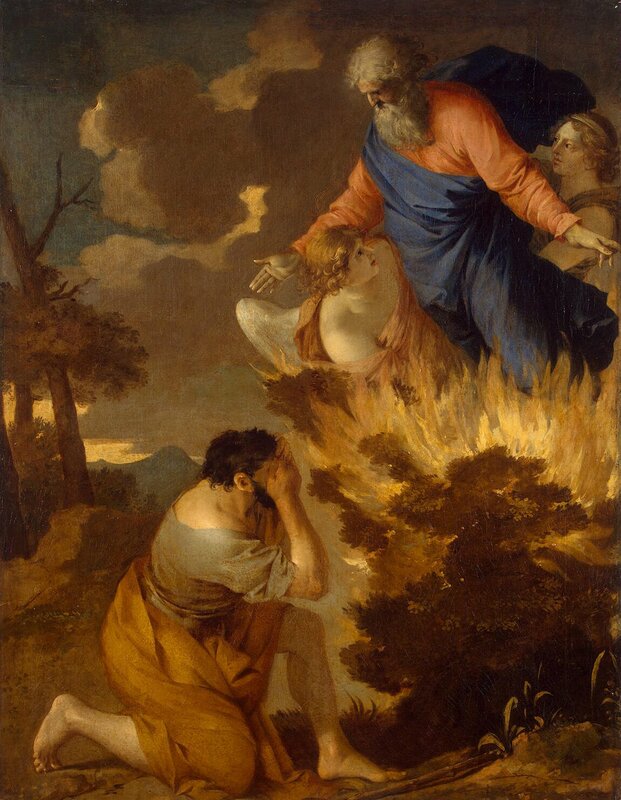 In the days around the proposal the image that came to my mind was that of the prophet Moses standing before the burning bush and hearing the voice of God thunder, “Take off your shoes for the place on which you stand is holy ground.” How could I with all my vices, sins and inadequacies offer to Jane the promise of love for a lifetime? The whole concept, the very idea, is a mystery beyond me. After Moses removed his shoes he covered his face, afraid to look at God, not because God was bad but on the contrary, because God was so perfectly good. Before the Divine Majesty, Moses realised how unworthy he was. And this was me; the concept of proposing marriage rose up before me like a mighty mountain and I could only bow in trepidation before the grandeur of such an idea. In one way my whole life had pointed towards this moment; I have thankfully had the example of parents happily married 35 years, of three brothers all married, and a strong formation in faith. However I still sensed that to take the path towards marriage was to take a path that was bigger than me. I am now convinced that it is simply not possible for one person to offer to love another person for a lifetime. Yes I have the desire to love Jane but I am well aware that I don’t fully understand what that means (and on my deathbed I will probably be still working it out). In the secular Western world most couples move in together before marriage. Perhaps for the first time, in considering engagement, I understood why it is that so many young people cohabit instead of taking the step to propose. Perhaps they realise deep within, that marriage is big and to vow one’s life to another requires more than a person can actually offer. Perhaps they sensed some of the same fear that Moses sensed before the presence of God. In these days I have come to the conclusion that I could not propose and I cannot look towards marriage without leaning on God. I know people always say those Christian niceties about prayer and trust in God, but I have lived 32 years and only in the last week did I realise how much I am going to need God. I will need God because I am looking towards making a promise with another person that will bind me to them; and if I do not rely on God to make up what I am lacking, I am under no illusion that I will fail. So now when people congratulate Jane and me, I find myself very quickly and sincerely asking them to pray for us as we walk this journey over the next 200 days. Posted in Uncategorized and tagged engage, engagement, God, marriage, moses, proposal. Bookmark the permalink. Congratulations on your engagement! Your story about the visit at the jeweller’s made me think about John-Paul II’s (or rather Karol Wojtyla’s) book “The Jeweller’s Shop” (which I totally recommend). In this book, the jeweller’s (God) tells the couples who visit him that a wedding ring weighs nothing in itself ; its weight is the weight of love and commitment. It seems to me you’ve figured that out, as you’re beginning your walk to the altar. It’s a blessing to be fully aware of the dimension of such a commitment and the need for God’s help. Mark 10:8 and the two will become one flesh.’ So they are no longer two, but one. Marriage is a mystery, you are like this way because your parents raised you as a good Christian and because you have chosen this path to respect yourself and the woman you are marrying. Fear has entered the human race since the fall of Adam, God sent Jesus to assure us of the true meaning of love and to remove fear from our heart, Fear God only the creature of this universe. Marriage without true love is not blessed by God because God is love. when you come with pure heart and you have the blessings of God with you, God honours you and honour your parnter, you honour HIm when you bring your gift to the altar and respect the sacrifice of His son that he made for you and for your partner. God already blessed your engagement the moment you thought about real commitment, when you bought the ring and when you said the words. Remember whatever you sayis accountable to God, with one word God created the whole universe so therefore the moment you said these words, God said to you: ” Let there be a weddding” also Jesus said” whatever you bind on earth it is bind in heaven, and whatever you loose on earth it is loosed in heaven”. Marriage is not only and earthly agreement it is a vow made in heaven and on Earth between 2 real people who are entering in communion with God so they become one Flesh.